Royal Baby Watch Alert: Duchess of Cambridge Kate Middleton already In Labour.. The Duchess of Cambridge is said to be in the early stages of labour and was admitted to hospital at just before 6am today as she prepares to give birth to the future king or queen. 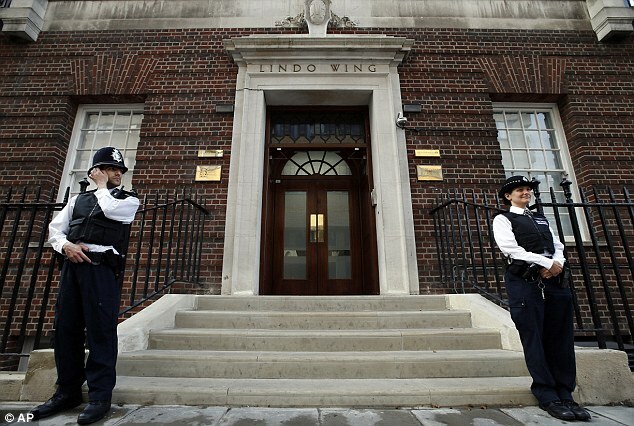 The Lindo Wing of St Mary’s Hospital in Paddington, west London, where Prince William was also born is where the Prince or Princess is set to also arrive. 'The Duchess of Cambridge has been admitted this morning to St. Mary’s Hospital, Paddington, London in the early stages of labour,' a royal spokesman said. Kate is said to have gone into labour naturally and things are 'progressing well'. Updates also came up on social media by Clarence House Tweeting about Kate going into Labour. See Tweets Below.. More updates to come..
Labels: Duchess of Cambridge in Labour, Kate Middleton Goes into Labour, Kate Middleton in early stages of Labour. Aww, I really wish her a safe delivery. She's such a classy woman and 1 of the few Royals I like! God bless her!